Gold!!! As always splendid writing Soumz! Ignorance is stupidity. Innocence is lovable. I have a very close friend who is a tad innocent and I love that about her. It is nice to see someone away from worldly affair. Ignorance I can't stand either - as you said - knowledge is wonderful. Innocence comes in as a welcome surprise in this day and age. 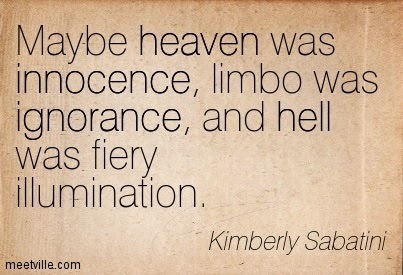 Ignorance, well has existed since forever. Though they sound similar, the words are worlds apart! 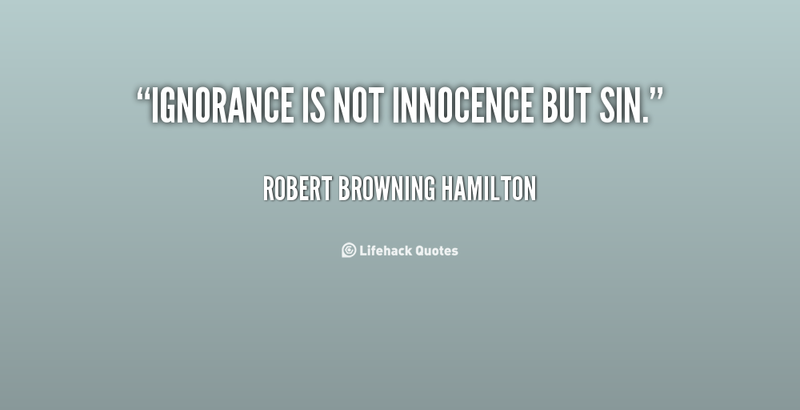 Innocence doesn't land you in a soup as much as ignorance does and that's my opinion. Innocence is not a mistake since it's an innate nature but ignorance becomes a mistake when you know it but don't take the step to correct it. For me too. Thanks dear! Nice debate :) Enjoyed reading it ! Under the cloak of innocence"
loved these lines! nice poem!